The University campus is a meeting place - not only for attending lectures and hitting books in the libraries. Starters might find our Main Building's cupola structure - home to the humanities - a bit awe-inspiring. Do not hesitate! Once you have crossed the doorstep you will soon feel at home in its beautiful lecture halls and surroundings. Other buildings on campus also provide highlights. 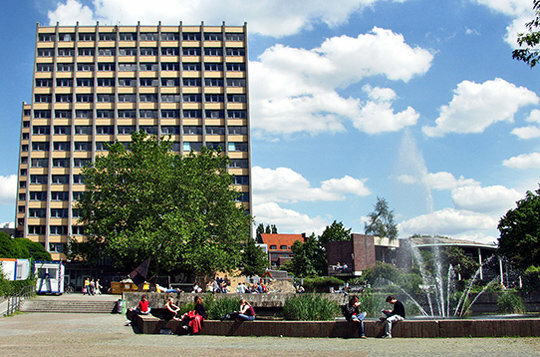 For instance, the Philosophers' Tower commonly called Phil-Turm, a 15 storey-building that offers a great panoramic view of the city. If you are there to attend a lecture or class, you may want to climb the stairs to the top for exercise and enjoy the prospect. On mid-campus you will find our Duck Pond near a plot of green. 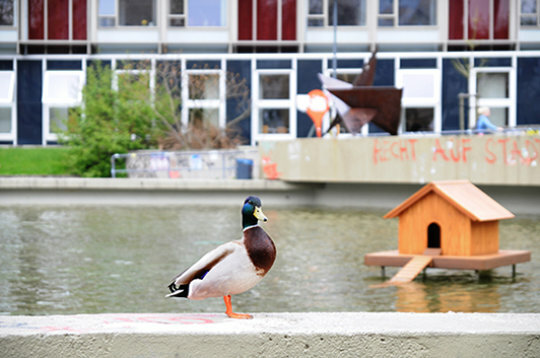 In summer it invites to relax, sunbathe and observing the water fowl between classes. When it is frozen in winter you may dig up your skates waiting for spring's arrival. Studying makes hungry: our three dining halls and numerous campus cafés brighten up every break. You might also enjoy a walk to the public greenhouse in Universität Hamburg's Botanical Garden Planten un Blomen. The Audimax is Hamburg’s major lecture hall, providing space for 1,664 people. The building in shape of a conch is an arena for numerous University and extracurricular events. Our little campus pond forms a popular meeting spot for students, especially in summer. 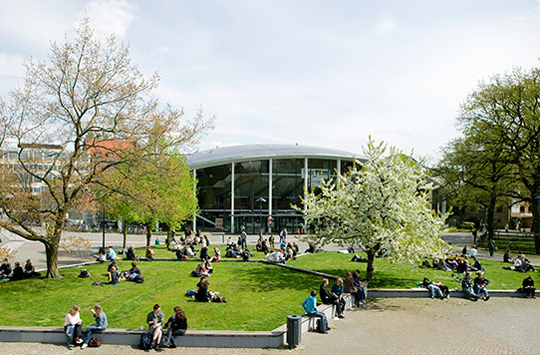 In summer the coffeee places adjacent to the University’s Main Building are an invitation to study outside. 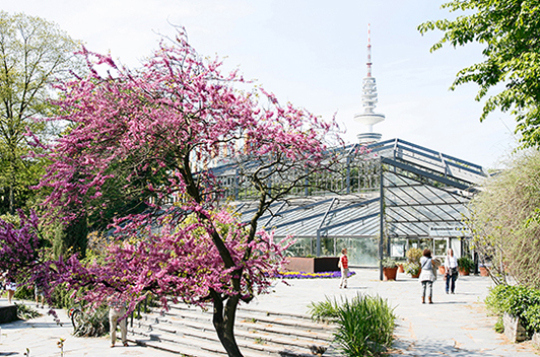 The greenhouses of the Botanical Garden are situated close to campus near Dammtor station. They were founded in 1821. The Campus Navigator indicates all locations and University institutions, including contacts and links.